Grandview Children’s Centre is a supporter of discovery and innovation in research in child development and rehabilitation science. Our Research & Innovation Committee identifies priority areas for research and advises where our resources and/or support should be directed. GrandviewKids is only directly involved in the CPNET and ACSF:SC Studies. Recruitment for the other studies occurs off-site. 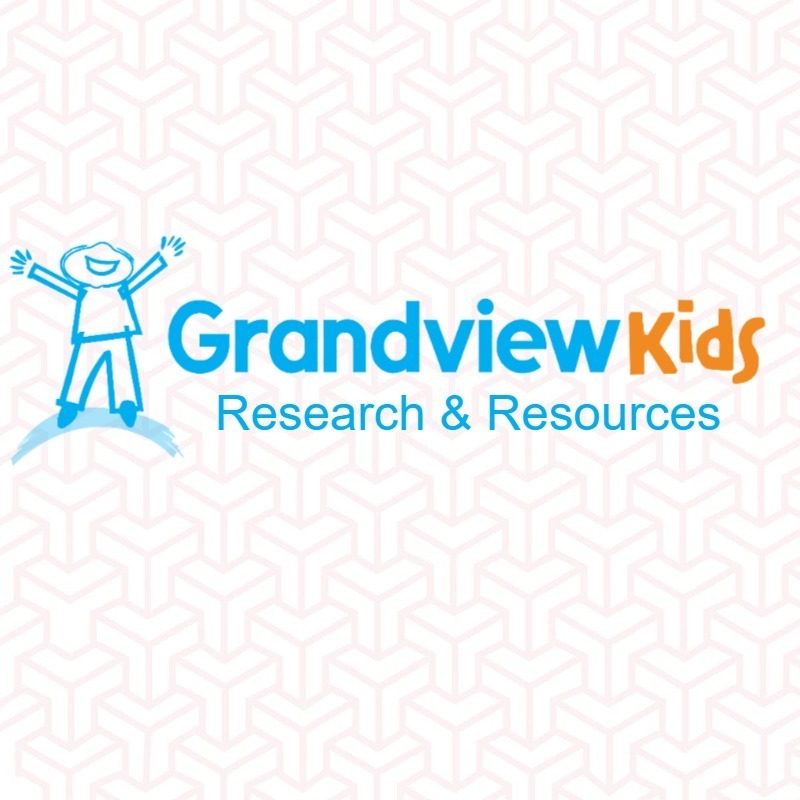 Each study has been approved by the GrandviewKids Research and Innovation Committee. Study participants will attend two research assessments, approximately 1-4 years apart. During the first assessment we will ask you questions about your family and medical history and your child’s experience with CP. We will collect saliva samples from you and your child. We will also ask to review your family’s medical charts and collect any past brain scans your child may have had. During both assessments, your child will be seen by a doctor who will examine his or her movements. Lastly, your child may be given a brief learning assessment during the second assessment. 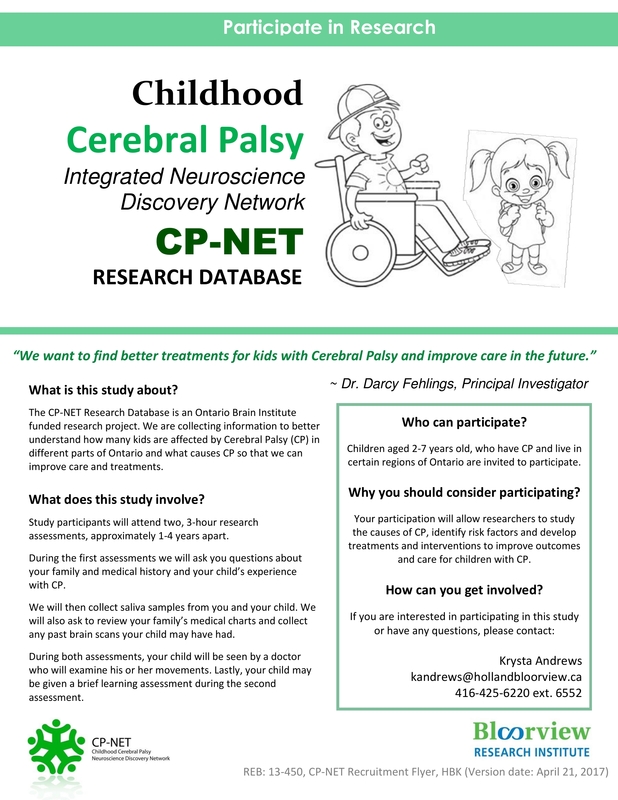 Children aged 2-7 years old, who have CP and live in certain regions of Ontario. Why should you consider participating? Your participation will enable researchers to study the causes of CP, identify risk factors and develop treatments and interventions to improve outcomes and care for children with CP. You will receive a $20 gift card to Chapters after the completion of each research assessment. Researchers at Holland Bloorview Kids Rehabilitation Hospital are doing research to learn how activity of the brain changes after two different programs of physical activity based training. They will also study change in movement and participation to see if these changes are linked to brain change. Children will have 16 sessions of training over 6 weeks (two-three times per week for 45 minutes). Each child will either have training that focuses on sports-skills like running, or training that focuses on lower limb strength. All children will have two scans of their brain done at Baycrest Hospital using functional magnetic resonance imaging (fMRI). One brain scan will be before the training and the second scan will be after the training. Each visit is 2 hours. There will be three assessments: Before and after the training, and again 4 months after the training is over. Each assessment is 2.5 hours. At the assessments, we will look at how children move. We will also ask questions about activities children participate in, and how they feel about these activities. Children ages 7-17 with Cerebral Palsy that affects just one side of their body, or mostly their legs, and who can walk on their own without a walking aid. The brain pictures may help us to understand how the brain changes after training, and help us understand how we can help children get better at physical activity skills. Researchers need help from parents/guardians of children with Autism for a new study to examine the relationship between clinician-completed ADOS assessments and your own completed ACSF:SC ratings. The ACSF:SC tool allows parents and professionals to identify what children ‘can do’ in terms of social communication. This is not a tool to measure severity of autism. The ADOS is commonly used by professionals to diagnose autism, and it is important for us to understand how it relates to the ACSF:SC. Knowing this will allow us to use the ADOS in a new way, in the future, to determine children’s social communication abilities. This study will help us learn if parent ratings with the ACSF:SC tool can help predict what children’s social communication abilities will be like as they grow older. This is similar to having a doctor predict how tall a child might be, based on measuring height at a check- up. The five social communication levels found in the ACSF:SC tool will allow both parents and professionals to have a common way to classify children’s abilities. Participants will be asked to give permission for the research team to access their child’s assessment completed in clinic, the Autism Diagnostic Observation Schedule (ADOS). 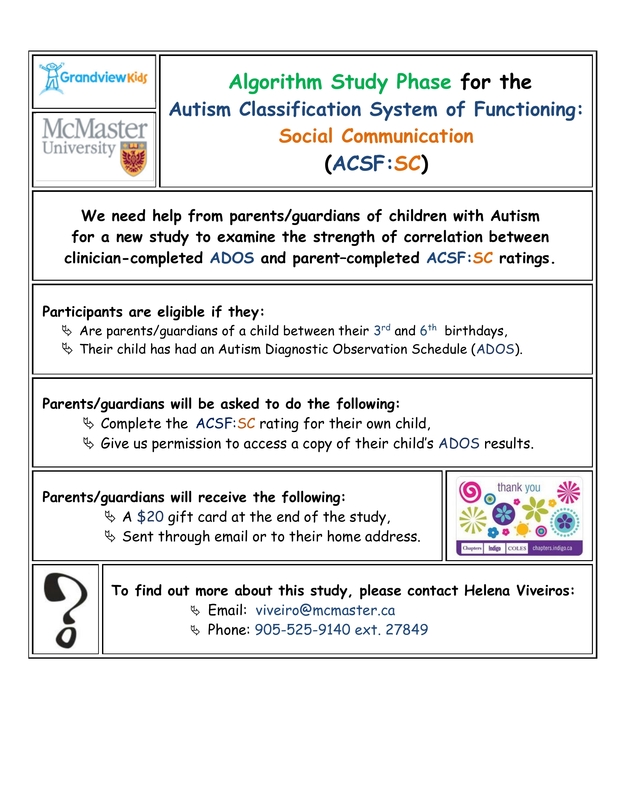 Participants will be asked to rate their child’s social communication abilities with a quick and easy tool, the Autism Classification System of Functioning: Social Communication (ACSF:SC). Parents or guardians of children between their 3rd and 6th birthdays, who have had an Autism Diagnostic Observation Schedule (ADOS). You will have an opportunity to use the ACSF:SC to identify your child’s social communication abilities. You will receive a $20 gift card to Chapters upon completion of the study. Holland Bloorview Kids Rehabilitation Hospital Autism Research Centre and the POND-Network are currently conducting new research studies across Ontario to understand how genes and biology affect the brain and behaviour in Autism and other Neurodevelopmental Disorders. 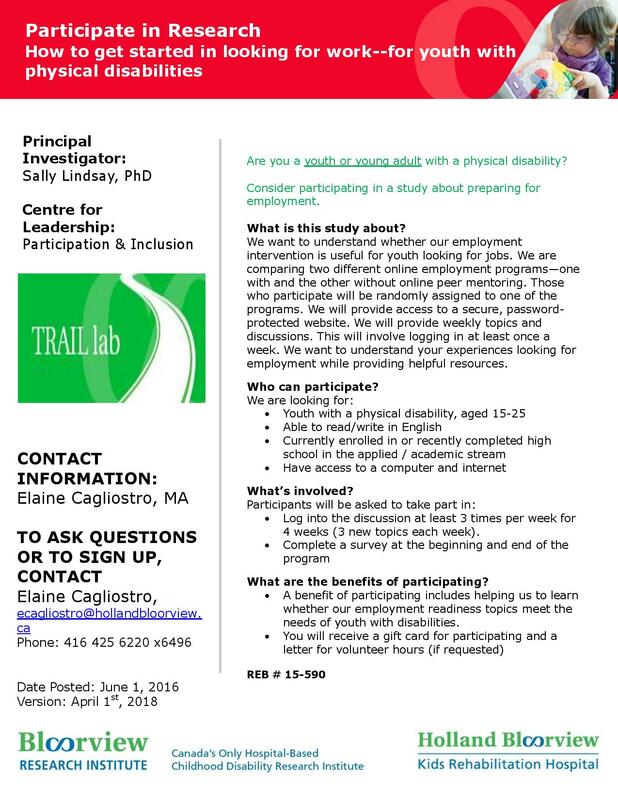 Please contact Susan Day Fragiadakis (see below) for detailed information on current studies. Children 21 years or younger who have a Neurodevelopmental disorder (e.g., ASD, Intellectual Disability, Rett Syndrome or Fragile X, Down Syndrome, Anxiety Disorder) and typically developing children between the ages of 3 – 21 years. By participating you are helping researchers understand how genes affect the brain, body, and behavior, and then translate this understanding into new ways to help individuals with autism and associated neurodevelopmental disorders. The National Physical Activity Monitoring (NPAM) Study seeks to quantify current trends in physical activity among youth (ages 12 – 21 years) with physical disabilities and visual impairments across Canada. This study is being conducted by researchers in the Faculty of Kinesiology at the University of Toronto and the School of Kinesiology and Health Science at York University. Participation in this study will involve the completion of two telephone interviews, asking the participant to recall what activities they did the day before. There will also be two short surveys about parental support and motivation to be physically active. For those who are interested in participating, there is an additional component to the study that entails the participant wearing an activity measuring device (i.e. an accelerometer) for a 7-­‐ day period, for at least 10 hours a day. Those who wear the accelerometer will be compensated with a $5 e-­Gift Card. Those who wear the accelerometer for 4 out of the 7 days for at least 10 hours a day will be compensated with an additional $10, for a total of $15. Your participation in this study can count towards your volunteer/community service hours too – we are providing 5 volunteer hours for your participation. Youth (ages 12 – 21 years) with physical disabilities and visual impairments across Canada. Participants will be compensated for each telephone interview they complete ($10 e-­Gift Card for each interview). Each interview will last approximately 30 – 45 minutes. 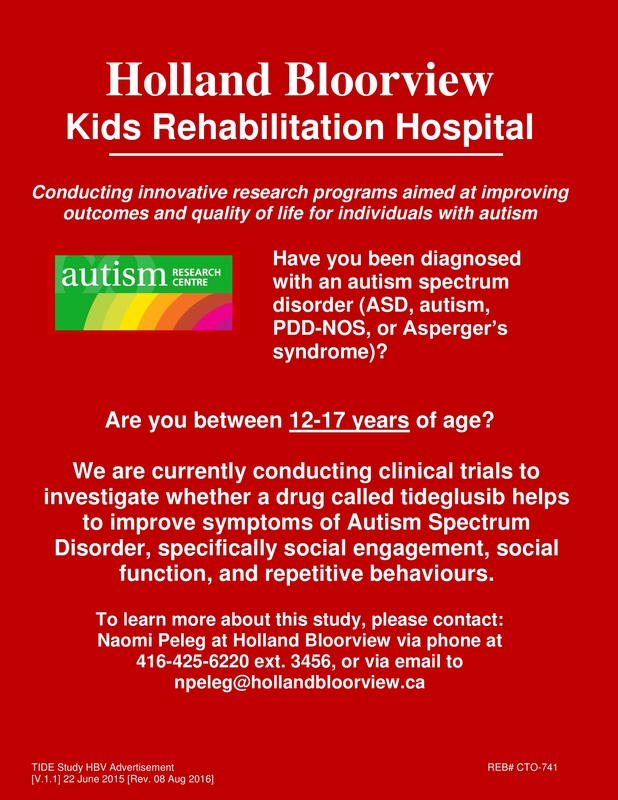 The Autism Research Centre at Holland Bloorview Kids Rehabilitation Hospital is conducting a research study looking for young people (ages 12-17) with ASD. The overall goal of the study is to see if the medication tideglusib helps to improve symptoms of Autism Spectrum Disorder, specifically social engagement, social functioning (e.g. learning how to talk to others, making friends) and repetitive behaviours. The study lasts a total of 16 weeks (about 4 months) and involves taking the medication dissolved in water every day for three months, with a follow up visit one month later. You and your child will first be asked to come in for a screening session; through talking with you and completing some assessments we will determine if your child meets eligibility criteria. If your child meets criteria, you will then receive either tideglusib or placebo. Visits will take place every two weeks while your child is taking the drug or placebo. This study also has an optional continuation part, which means that if you were given placebo, you will be able to take tideglusib at the end of the four months. The same tests and procedures will be followed that were followed during the main study. Individuals aged 12-17 with Autism Spectrum Disorder who meet the eligibility criteria identified at the screening session. Participation in this study will help researchers see if the medication tideglusib helps to improve symptoms of Autism Spectrum Disorder. Researchers are trying to determine whether early behavioural signs of Autism Spectrum Disorder (ASD) can be observed in young infants. Second we hope to learn more about whether differences in certain body signals (such as temperature, heart rate, sweating) during a variety of tasks can be observed. We want to see if these signs are different in infants who go on to have ASD, compared to those who do not. We will use tests that look at the symptoms of autism, tests that look at the way that your child thinks and behaves, and activities that look at the way your child reacts. Your child will be seen for their first visit at 6 or 12 months based on their age at recruitment. Your child will be followed in 6 month intervals between 6 months and 24 months then at 36 months. Parent interviews and questionnaires will also be completed at these time points. Younger siblings (6-12 months of age) who have an older sibling with ASD OR younger siblings (6-12 months of age) who have an older sibling whose families do not have a history of ASD. By participating you will receive ongoing feedback about your child’s development, have opportunities to ask questions about your child’s development and contribute to our understanding of autism. The purpose of this research is to see if motor skills, social skills and behavioural skills improve after a motor skill intervention. The motor skill intervention is an instructional play-based program that will take place at the UOIT Physical Activity and Motor Behaviour lab and will be run by highly trained personnel as well as graduate and undergraduate Kinesiology students at UOIT. Children will receive 12 weeks of intervention for 2 hours/week. Children will be randomly assigned to either Group 1, which receives the intervention first, or Group 2, which receives the intervention second. Children will participate in 3 assessments and play dates in addition to the intervention sessions. Children aged 3-5 years old with Autism Spectrum Disorder (ASD). By participating you will help researchers determine whether this motor-skill intervention improves motor, social and behavioural skills in children aged 3-5 with ASD. The purpose of this research is to better understand how the autism spectrum is experienced by girls and women, and the health-care needs of girls and women on the autism spectrum. You will be asked to participate in an interview. You can choose an interview on your own (for about 1.5 hours), or in a focus group (for about 2 hours). You will be asked questions about your health, health care and experiences of being a girl or women on the autism spectrum. Girls on the autism spectrum, women on the autism spectrum, parents/caregivers, and health/education professionals will be interviewed separately, or participate in separate focus groups. (3) Health and/or education professionals working with girls or women with ASD. This research will help us improve the identification, health care and support of girls and women on the autism spectrum. To participate in this study, you must be capable of providing informed consent or assent. 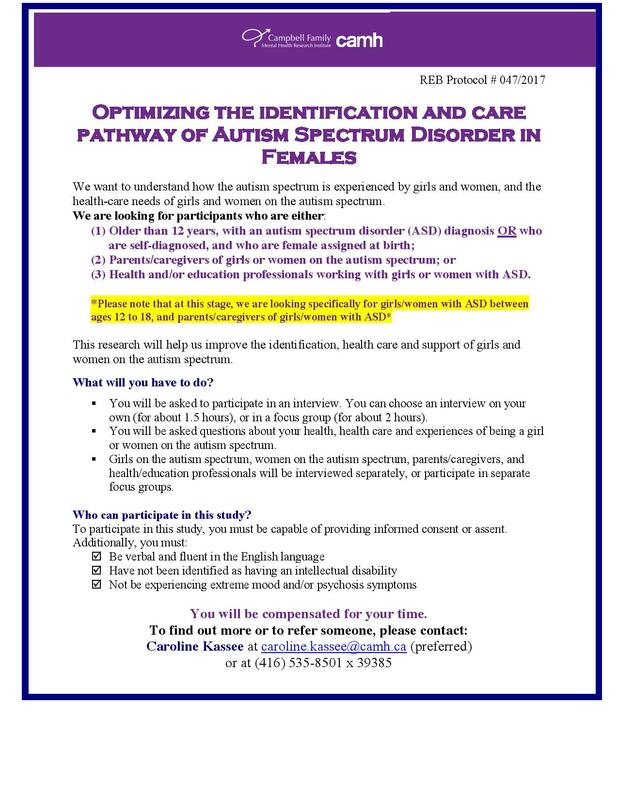 By participating in this study you will help researchers better understand how the autism spectrum is experienced by girls and women, and the health-care needs of girls and women on the autism spectrum. A research study is recruiting parents/guardians to share stories about setting clear expectations for working with service providers during children’s rehabilitation. Stories may come from any time during your family’s rehabilitation journey. The study involves parents/guardians doing a single one-hour interview with a researcher. • You can choose to be interviewed at Grandview, at home, or by phone. • Interview topics include a) what expectations have you had for yourself and service providers; b) how have your expectations changed over time; and c) strategies you and your service providers have used to resolved possible differences in expectations. • Before the interview, you can choose to review sample interview questions if that helps. • After the interview, you can review and edit how our talk was interpreted. • Self-identify as having or anticipating a significant and long-term role in supporting their child’s involvement in rehab. • Have a child between 3 to 25 (excluding children with a progressive health condition). • Are currently involved in children’s rehab services or were involved within the past three years. 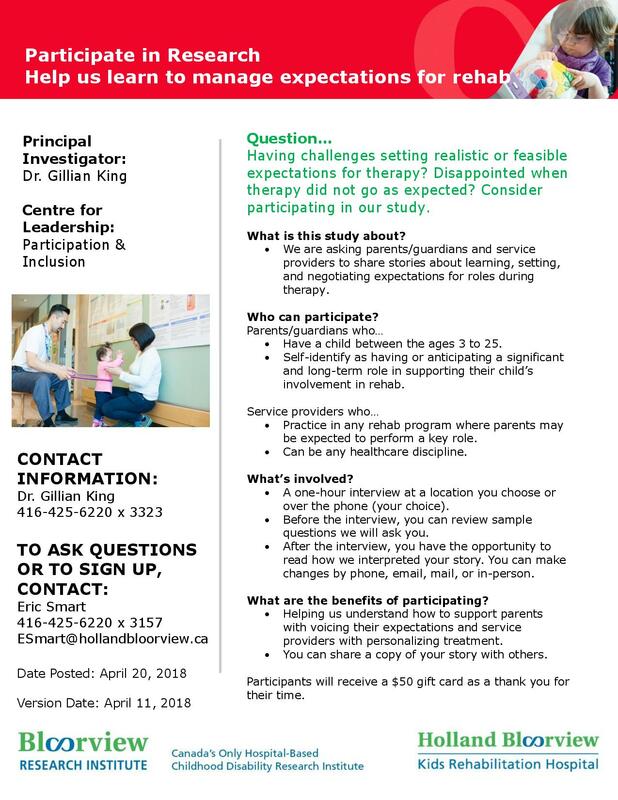 The stories participants share will help service providers understand how to make family-centred care service delivery more inclusive to parents/caregivers with diverse and changing beliefs. Participants will receive a $50 gift card as a thank you and a summary of what we have learned from the study. This study seeks to understand the experiences of African-Canadian immigrant parents who have a child with a developmental disability (e.g., autism spectrum disorder, Down syndrome, intellectual disability, genetic disorders) and the factors that are related to positive outcomes for these parents. This study is being conducted by researchers in the Department of Psychology at York University. Participation in this study will involve the completion of an interview (approximately 1 hour) and a questionnaire (approximately 20 mins). The interview can be completed in person or over the phone. The questionnaire can be completed online or on paper. Parents do not have to complete both the interview and questionnaire if they would only like to be involved in one portion of the study or the other. Parents who (1) have a child with a developmental disability, (2) are immigrants, and (3) were born in an African country. Participants will be compensated with $35. Participation in this study will help researchers understand what factors contribute to positive experiences among African-Canadian immigrant parents who have a child with a developmental disability. Little research has been done looking at immigrant parents specifically and immigrants of African descent tend to be underrepresented in the existing research. We believe that your experiences and opinions are important and would like to be able to represent them. We hope to use this information to inform healthcare and service providers on what ways your families can best be supported. The purpose of this research is to understand whether our employment intervention is useful for youth looking for jobs. We are comparing two different online employment programs—one with and the other without online peer mentoring. times. Each time it will take about 30-45 minutes to fill out the survey. Chapters/Indigo (your choice) when you complete the second survey. This study will run from July 2018 to December 2019. Knowing more information about fatigue experienced by youth with cerebral palsy will help researchers and therapists develop treatments for this condition. We are inviting you and your child to take part in the National Physical Activity Measurement (NPAM) study! The purpose of the NPAM study is to measure current trends in physical activity, sleep, and screen-time behaviour among Canadian children and youth with disabilities. We are looking for Canadian children and youth (ages 4 to 17 years) with any type of disability and their parents to participate. 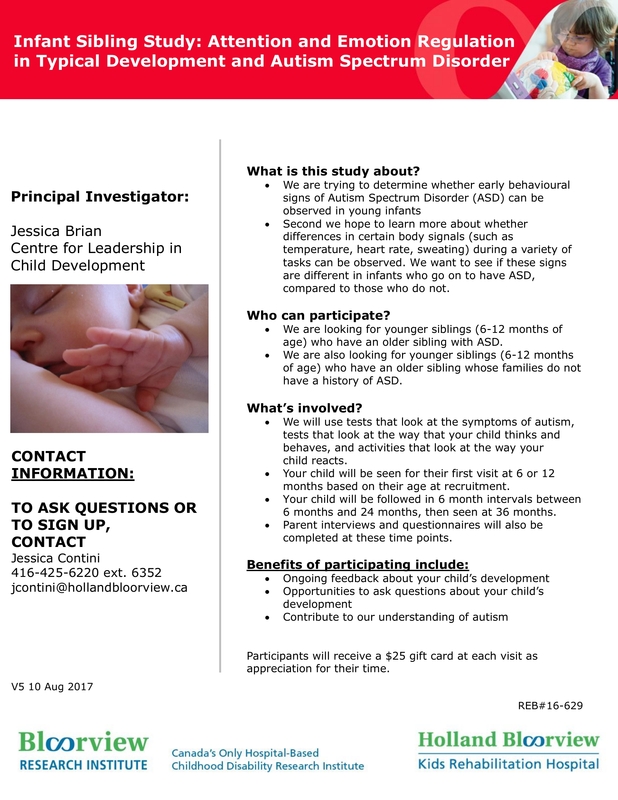 Please note that at this stage in our study, children and youth with Autism Spectrum Disorder are not eligible to participate. • Children and youth will be asked to wear a Fitbit for 30 days, ideally for 24-hours a day. • Youth (ages 10 to 17 years) will be asked to complete one, 45-minute telephone interview about their daily activities and well-being. • Parents will be asked to complete a 30-minute online survey about their child’s daily activities and well-being. Your input will help us understand the typical behaviours and well-being of children and youth with disabilities. This kind of information will help support the development of evidence-based policies and programs to better serve Canadian kids with disabilities. Children and youth will have the opportunity to keep the Fitbit after wearing it for 30 days. Youth will receive 5 community service/volunteer hours for completing the interview. Parents will receive a $10 gift card of their choice for completing the online survey. The purpose of this study is to find out whether MEVU is a good tool for assessing how children with CP use vision. Researchers from Australian Catholic University are testing a new online questionnaire to describe how a child uses vision in everyday activities – the new ‘Measure of Early Vision Use’. They are seeking parents and caregivers of children aged between 3 months and 12 years of age who have a diagnosis or high risk of developing cerebral palsy. Children with a range of visual abilities are being sought, from a good ability to use vision, to the ‘not so good’. Vision is important to all areas of development and learning. If you are the parent or caregiver of a child with CP, taking part in this research will help establish a new measurement tool that may be used with other families in the future. We hope this may help more children in the future. Responses from parents in the testing phase (now!) are needed for that to happen. The purpose of this study is to understand how the design of physical environments (interior and exterior spaces) in children’s treatment centres can improve the experiences of children and youth with special needs and the outcomes of their treatment. By participating you can help researchers create a design standard for Children’s Treatment Centres. The purpose of this pilot study is to assess the feasibility of conducting a multi-site five-week longitudinal cohort study of children and youth aged 8-18 years with CP. This pilot study is part of a larger study working to identify pain patters in children & youth with cerebral palsy. Participants will be asked to meet once at Grandview Children’s Centre and then complete five questionnaires, one each week for five weeks. Children and youth aged 8 to <19 with a diagnosis of cerebral palsy. 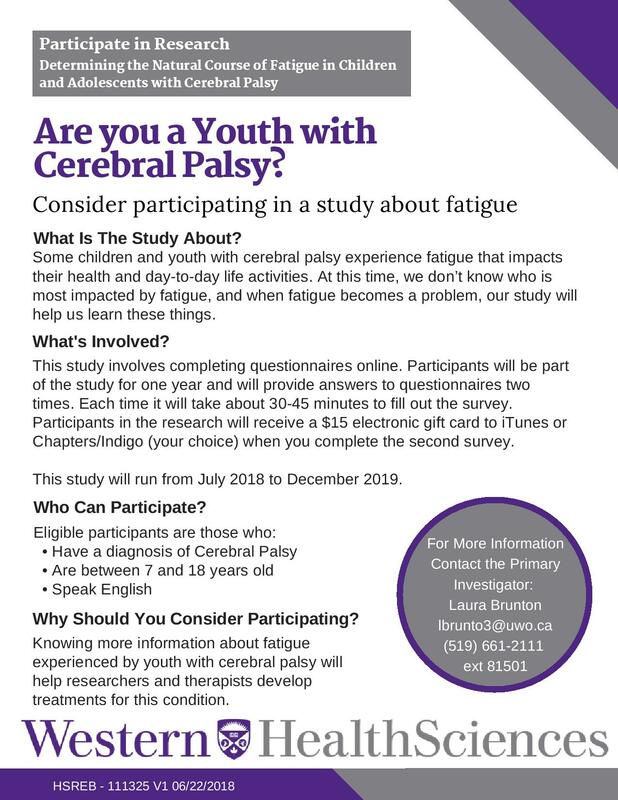 By participating in this study you will help researchers understand the best way to study if kids with cerebral palsy have pain and how it makes them feel.